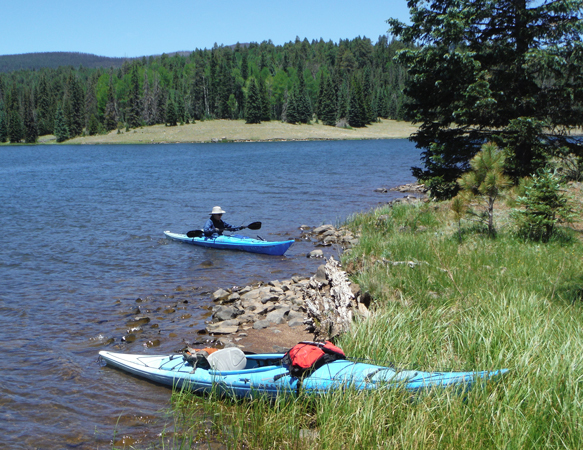 Reservation Lake is an approximately 300 acre body of water located just inside the eastern boundary of the White Mountain Apache Reservation in the White Mountains of eastern Arizona. 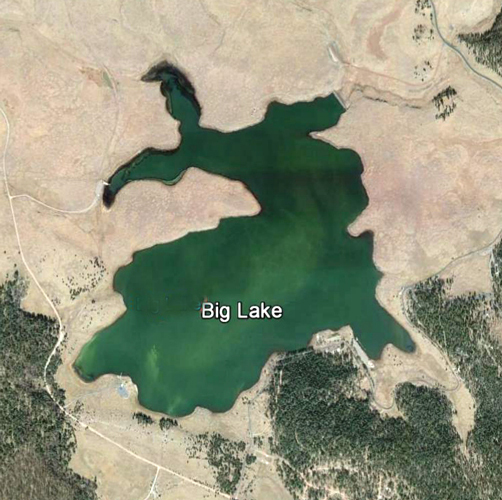 This lake is not quite as accessible as the other lakes in the area. A 10 mile drive on a washboarded dirt road is necessary to get to Reservation Lake. 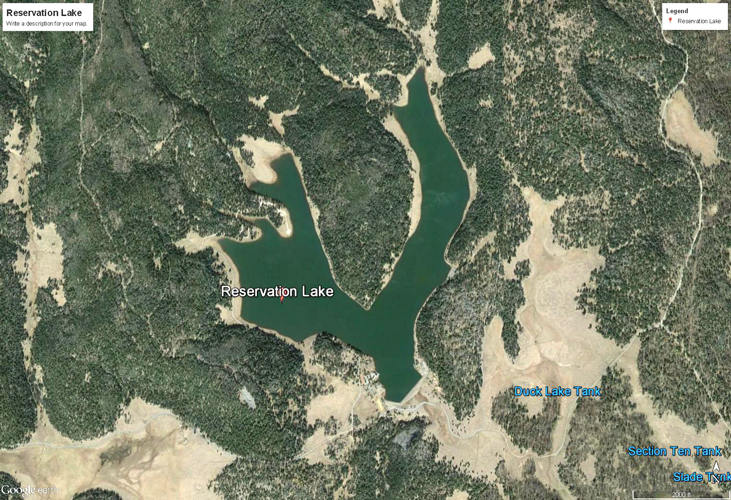 This topo map and Google Earth View of the lake show its "V" like nature. The earthern dam at the south end of the lake is across Reservation Creek. 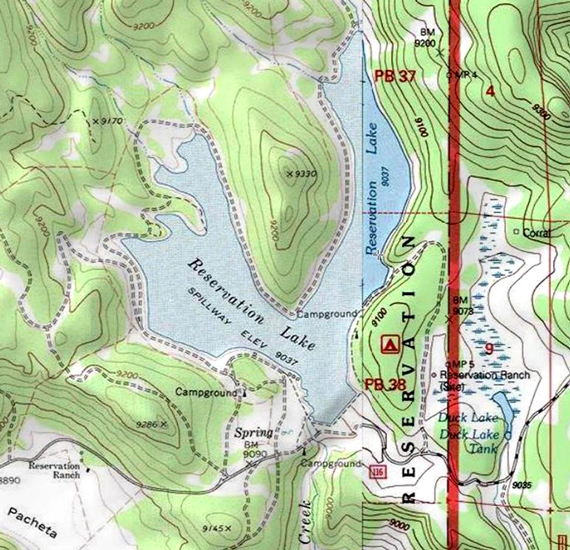 The map notes that the spillway elevation at the dam is at 9037'. This is the view from the dam looking to the north. The rise in the center of the photo is the peninsula that divdes the lake into its two arms. The seasonally operated store and boat launch are to the left in the photo. Reservation Lake is very scenic. The forest growth extends nearly to the water's edge. 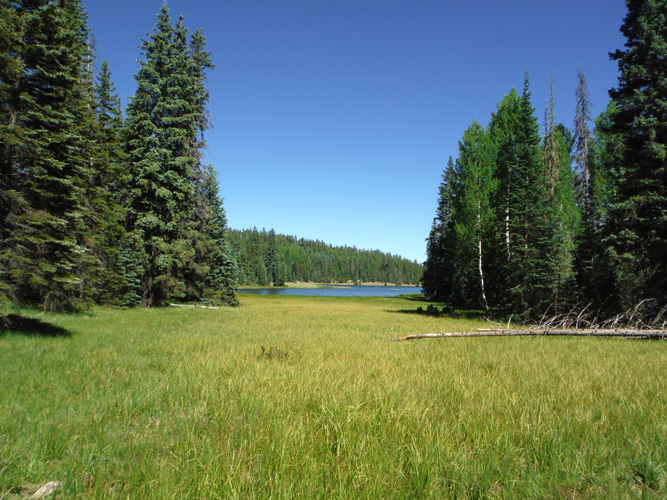 The other lakes in the area seem to be situated in more open meadows. Big Lake, a few miles to the east, is typical of that placement. The trees are mainly spruce, fir and aspen. It is truly an alpine environment. The White Mountain Apaches charge for the use of their resources. 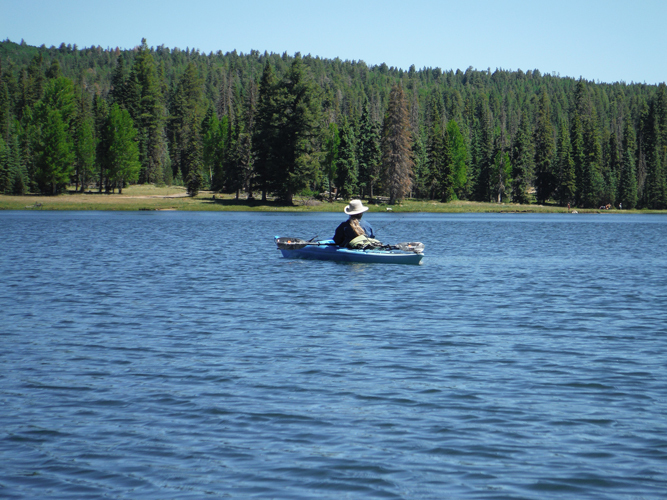 All watercraft require a boat permit that is currently at $5 per day. 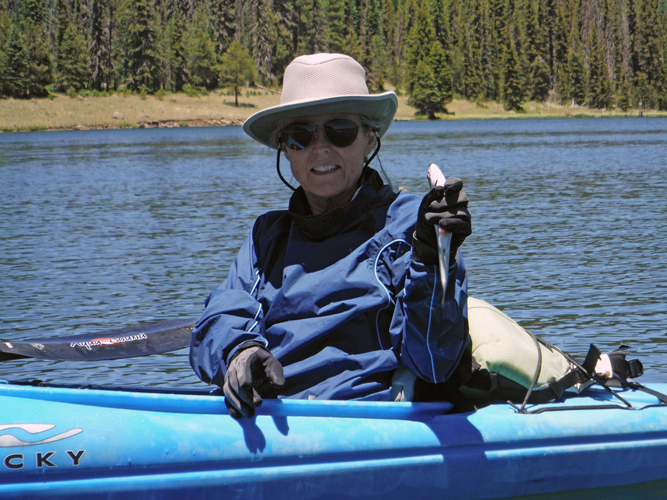 Fishing permits are $9 per day. There is also a camping permit required for overnight stay. We did not camp and so I am not sure what that fee is. The permits run from midnight to midnight. That is important to know. A one night stay will require permits for two days.....State issued fishing licenses are not accepted. We purchased our permits at the general store near the Sunrise Ski Operation on highway 273, the paved road to Big Lake. We launched from the road that runs along the shoreline on the west arm of the lake. It was an easy carry for our kayaks down to the water. Signs along the lake-side road indicate that vehicles are not allowed off the roadway. It may not be allowable to drive to the water's edge. We only encountered a half dozen boats while out on the lake. From what I have read, that is a pretty typical number for a summertime weekday. Perhaps it is the fees that keep the numbers down. 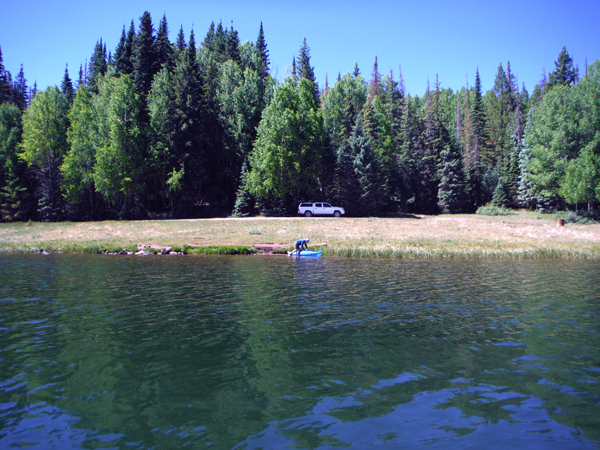 The slow drive into the lake may also affect the visitor rate. Once back at our truck, we figured that we had paddled approximately 5 miles on our circumnavigation. It had been a very nice day.